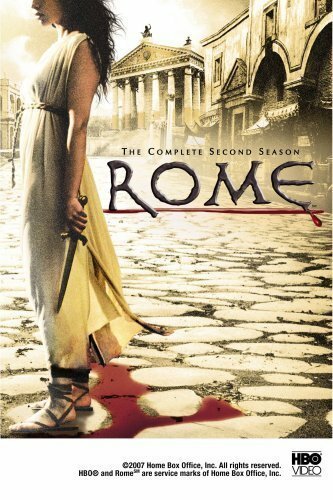 ROME is a good show, but never really rises beyond that. Consumable enough, the main cast is phenomenal at times, it’s nicely filmed, and offers good music, and moves at a fair clip, but it is not a show that I feel any strong desire to finish. If it’s there I’ll watch it, but I don’t really find it that commanding. And when you hit the Egyptian episode, and the depiction of the ancient Egyptians and Cleopatra, that’s where I pull over the bus. My pet peeve is the Anglicization of history, the whitening of history if you will. The ancient Egyptians bear no more resemblance to the current inhabitants of Egypt, than the ancient inhabitants of America bear any resemblance to current inhabitants of America, and for the same reason. Invasion,war,migration,genocide, interbreeding, forced relocation. It’s the same reason the black aboriginal peoples of the Pacific Islands, including Hawaii, and the Cook Islands, went from a predominantly Black, Nubian people to a more Asiatic appearance. As the islands were subject first to interbreeding from their ‘discovery’ to a particularly active and pointed form of ethnic cleansing performed during world War II. In fact not so much ethnic cleansing, as ethnic appropriation. Make of your enemies… yourselves. Breeding with your enemy, outbreeding your enemy, as the final battle ground of war. And if the history of recent times is replete with such sweeping ethnic changes, in less than a couple of centuries. How much more is the ethnic landscape of Egypt changed in 4000 years. Which is why I’m particularly cognizant of the Hollywood style white-washing of that history, and it is the surest way to earn my ire, and take me out of the story. And don’t even get me started on the comic and foolish depiction of the Egyptian royal family, and Cleopatra. However when you get past that unfortunately clownish and inept episode by writer William J. MacDonald and Director Steve Shill, the remaining episodes leading up to the season finale are very strong and very moving. Particularly the last two episodes, by writer Bruno Heller and Directors Mikael Salomon and Alan Taylor, are a master class… on cinematic storytelling. So all in all ROME is historical fiction, at times brilliant, that unfortunately suffers from the schizophrenia too common with television series… that the quality can vary widely depending on who writes and who directs. So I do object to the liberties it takes with the facts; particularly as it relates to Egypt. But that acknowledged, and fast forwarded through, it is definitely a series that is worth a look, if not quite a buy. I don’t see it as a show that I have any interest in re-watching or lends itself to re-watchability, though your mileage may vary. Final Grade: B-. DOCTOR WHO: STATE OF DECAY Episode Review!